"New Yorkers drink seven times as much coffee as the rest of us". Does Hemingway's advice "write drunk, edit sober" work? The Gadgeteer: "The DeLorme inReach is the first affordable 2-way Satellite Communicator on the market". When you go camping, boating or traveling, you may think your cell phone will be there for you to get you out of an emergency situation. But only 10% of the world actually has cell phone coverage. Designed for remote or high-risk environments, the inReach uses the Iridium global satellite network, which means it will work from the North Pole to the South Pole and everywhere in between. 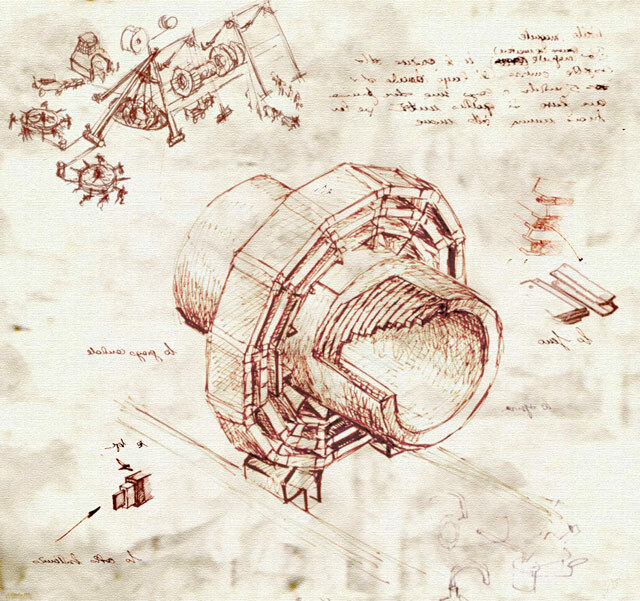 "Last Name Fails: Wedding Announcements That Spell Disaster"
Why The French Use "Octet" for "Byte"
"Drawings of the LHC in the style of Leonardo da Vinci". Nice design feature: "Inclusive Pill Bottles for the Blind"
Florida judge rules that flashing your headlights to warn other motorists about a speed trap is protected under the First Amendment. "German teen solves 300-year-old mathematical riddle posed by Sir Isaac Newton"
Great video by Derek Sivers on what the Japanese use instead of street names. How Pixar Nearly Deleted Toy Story 2 Before Its Release. "How Pixar nearly deleted Toy Story 2 before its release"
"Build a levitating bed for under $1000"
CNET: "The FBI has formed a Domestic Communications Assistance Center, which is tasked with developing new electronic surveillance technologies, including intercepting Internet, wireless, and VoIP communications". I'm just glad this will only be used for good, and will never be misused against the American people. Interesting factoid:: "More than a third of divorce filings last year contained the word Facebook". I don't think Facebook "wrecks" marriages. But it might make it easier for people who are already predisposed to infidelity to do so more easily. "No Need To Go In: App Tells You This Is Not The Bar You're Looking For"
"Stuxnet-Like Viruses Remain a Top U.S. Security Risk"
Off-topic: The 5/22/2012 edition of PJMedia.com has published my latest health care OpEd, "Dr. Orwell Will See You Now". Theme: Beware the latest health care Newspeak! "Google Hires Law Professor/Blogger Eugene Volokh"
"If you're like us, you've always wondered what happens when you put a slinky on a treadmill and let it do its slinky thing..."
Touchscreen interactions: How useful they are vs. how dirty they sound. Clever update on the standard keyring. Click through to read the explanation. "Adorable Nine-Year-Old Girl Reviews Her School Lunches on Her Blog". Here's her blog, NeverSeconds. Nice video explanation: "What Exactly is Web Hosting?" "Researchers in Japan have smashed the record for wireless data transmission in the terahertz band, an uncharted part of the electro-magnetic spectrum. The data rate is 20 times higher than the best commonly used wi-fi standard." Real life: "Man protests restaurant after Friday fish fry runs out"
Ohio scientists design an improved antimatter propulsion engine. Blogger confronts newspaper editor who plagiarized his work. And leaves with a $500 check. "Quantum Theorists State That Wavefunctions Are Real States Not Just Statistical Tools"
This small Swiss company make credit card-sized clones of HP calculators (Voyager series). [Off topic] Who Should Control Your Healthcare Spending? [Off-topic]: The Forbes website has published my latest health policy OpEd, "Just Who Should Control Your Healthcare Spending?" Information about the Venus Transit, occurring June 6, 2012. On June 6th Venus will transit the sun as seen from earth. The last transit was in 2004. But the next transit after this one is in 2117--no, that's not a typo. Venus transits of the sun are rare--they are among the rarest predictable events in astronomy--and past transits were very important to the history of science. This page explains what they are, why they are rare, why they show up in pairs eight years apart, but with the time between pairs being over a century, and why they are so important in the history of science. For instance, we would not know how far away stars are if we had not observed Venus transits in the eighteenth and nineteenth centuries. "The Trippy Physics of Bubbles in Microgravity". "What's the secret to amazing naps?" Interesting essay discussion language and gestures: "Body Language"
Fascinating interview with a (legal) safecracker. Q: How realistic are movies that show people breaking into vaults? A: Not very! In the movies it takes five minutes of razzle-dazzle; in real life it’s usually at least a couple of hours of precision work for an easy, lost combination lockout. Most vault lockouts are caused by malfunctions. A bank employee over-winds the time lock, a technician makes a mistake servicing the vault, or there was no maintenance because the bank has initiated yet another round of cost cutting. Another 10-20% of my income comes from law enforcement searches and seizures or estate, aka “dead relative” openings. They hire me and I drill it open, but these are not situations where I like to hang around too long. "This Is Not a Joke: Government Issues Study of a Study About Studies"
"The Floppy Disk means Save, and 14 other old people Icons that don't make sense anymore"
"Why Computers Still Can't Translate Languages Automatically". Short answer: Because computers still don't understand meaning. "Tom Wilson (AKA Biff from Back to the Future) carries around an FAQ". "Silicon Nanospheres Could Be Building Blocks Of Optical Invisibility Cloaks"
"You Can Get Your Face Frozen In Carbonite Now". Price = $100 at Disney's Hollywood Studios. The 8-year-old twins love their iPad. They draw, play games and expand their vocabulary. Their family’s teenagers also like the hand-held computer tablets, too, but the clan's elders show no interest. Our young ones pick up on it. They understand it. It's like, 'Oh I get this,'" [Miami Zoo staff Linda] Jacobs said. "Our two older ones, they just are not interested. I think they just figure, 'I've gotten along just fine in this world without this communication-skill here and the iPad, and I don't need a computer.'" "Bowling alleys in churches are disappearing fast". This guy wants to build a real-life USS Enterprise over the next 20 years, capable of traveling from Earth to Mars within 90 days. Of course, this would utilize conventional propulsion technology, not any kind of faster-than-light drive. As Rand Simberg notes, "Well, you can't say that this guy isn't ambitious." This restaurant in the Canary Islands cooks your meal with an active volcano. "The old man from Pixar's UP is real!" "25 YouTube Comments That Are Actually Funny". How Much Water Does The Earth Have? 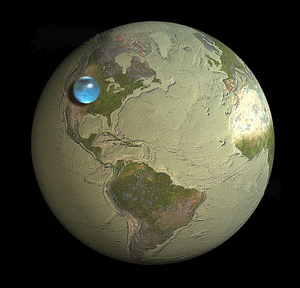 "If you collected all of Earth's water into a sphere, how big would it be?" Gabriel Rossman: "Kidnapped by Pirates at Sea? Here's How Economics Can Save You". Of course, when this kind of force is involved, there is no true "market", but there are game-theoretic considerations. I must admit to liking Julius Caesar's ultimate solution (at the end of the article). Update: The correct author is Gabriel Rossman (guest-blogging for Megan McArdle in her absence). Sorry about that, Dr. Rossman! "I am a statistician and I buy lottery tickets". The humble SMS is 20 years old. "The FBI is asking Internet companies not to oppose a controversial proposal that would require firms, including Microsoft, Facebook, Yahoo, and Google, to build in backdoors for government surveillance." "How to Find a Meteorite in 5 Steps"
"The frequent fliers who flew too much". Did these super-frequent fliers violate their contracts? Or did the airline renege on the terms because it cost more than they expected? Based on the article, it sounds more like the latter. In particular, the seeming attempt by the airline to intimidate a flier into making a false confession was very disturbing. Could A Private Data Market Ruin Facebook? "How A Private Data Market Could Ruin Facebook"
MRI studies show the brain responds differently to real acupuncture vs. sham acupuncture. 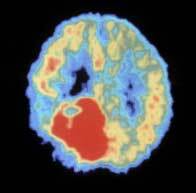 Off topic: PJMedia has just posted my latest OpEd: "Government-Funded Medical Research Is Hazardous to Your Health". 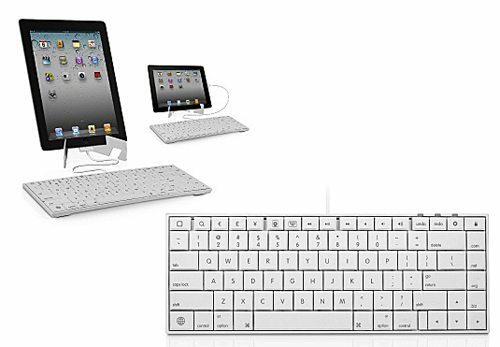 I must admit to being a little intrigued by this wired iPad keyboard. Related review. "What percentage of 7-footers are in the NBA?" Short answer: If you believe the methodology, the answer is an astounding 17%. More details here. "The History of Key Design: From Ancient Wooden Rods to the Hotel Keycard"
"Mysterious 'Hum' Only Canadians Can Hear Is Debated". Texas requires computer repair technicians to get a private investigator's license, which could require a degree in criminal justice or three-year apprenticeship. Uncredentialed IT guys could face a $4,000 fine, one year in jail or a $10,000 civil penalty. Consumers who knowingly take their computers to unlicensed companies are subject to the same punishment. Since 2007, anyone in Texas who accesses nonpublic computer files to gather information is deemed by the state to have conducted an "investigation" -- thus the requirement. Here's a related background piece from the Institute For Justice, "Texas Government-mandated Computer Repair License Does Not Compute". "A portable methamphetamine lab exploded in a man's pants as he tried to run away from a state trooper during a traffic stop." On May 20, 2012, some North Americans will enjoy a very rare "annular solar eclipse". Yes, that's "annular" not "annual". From the blog post author: "Annular eclipses are not nearly as spectacular as total eclipses, but this is all we are going to get for the next few years. The next total solar eclipse in North America is in 2017." "10 GHz Optical Transistor Built Out Of Silicon"